Back by increasing popular demand are these crawling turtles! 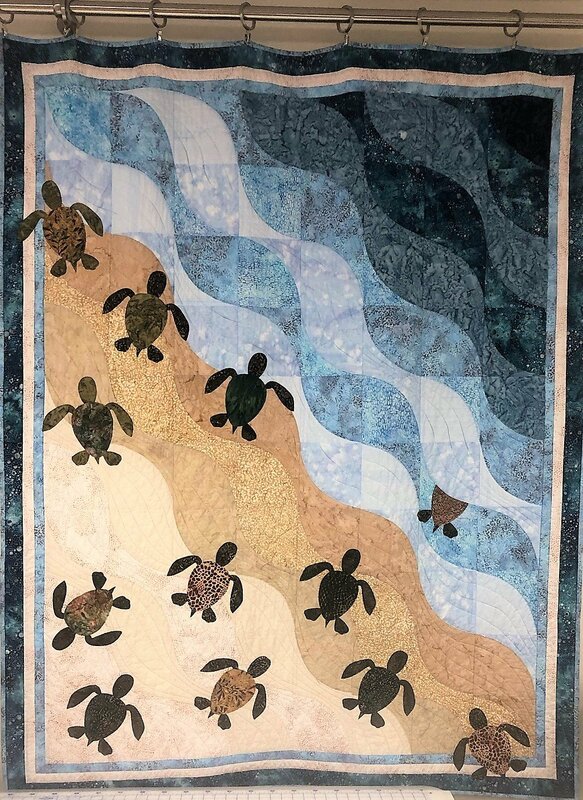 Sign up for Chris’ class to learn a simplified and fast approach to curved seam piecing and basic applique while you sew up this turtley beach scene. Grab a kit from Fran’s or pick out your own beachy batiks!